We have a tiny black insect that lay their larva in our lake. They swarm too. We have a manufactured home and they are all over the house, around your car, etc. They are attracted by night lights in the house. They die and you can blow them off the counter. We live in south Florida. They are here June through Oct. Do you know what they are and how to control them? Sounds like some kind of midge, gnat or fly. There are hundreds of species found in the USA and most of them don’t bite. But they all need water to reproduce and since it sounds like you’re close to a lake, its only natural and to be expected that this problem will be active as long as the yard and homes exterior is left untreated. The good news is whatever they might be, you can get control of the problem easily because flying pests are easy to treat and maintain. Outside you can either liquid spray or fog. The liquid approach can be done using CYONARA RTS. It comes packed in a hose end sprayer (RTS stands for “ready to spray”) so all you need to do is hook it to your garden hose and spray. You’ll want to soak the side of the home, plants, grass and flower beds where you see them landing. Treatments will last 1-2 weeks and will kill any that land on the treatment (as well as other insect pests). But it will also repel them so they’ll effectively stay off your property (as long as you treat the most if not all of the landscape). This method would be practical if your lot is small, like 10,000 sq/ft or less (approximately 1/4 of an acre or less). For larger lots, you should consider a fogging machine. Mist fogging is a lot more efficient, easier to do when treating large areas and will save you both time and money. So even though it costs more initially because you have to purchase the fogging machine, the savings on chemical costs (compared to liquid spraying) will more than pay for the fogger in 1-2 years. Plus there is a huge time savings when fogging compared to liquid spraying; it simply takes a lot less time to fog. Now a good fogger for use around the home is our FM6309. It runs on electricity and holds 1 gallon of mixed solution. And a good material to fog is the ESSENTRIA IC. It’s labeled for use around lakes, ponds and other bodies of water so it won’t hurt fish or wildlife. But its also highly effective on flying insect pests. Treatments will last 1-2 weeks and you can get 1/2 acre of coverage per 1 gallon of mixed material. So to start, you’ll want to treat the exterior of the home using one of the two methods detailed above. No doubt this will dramatically reduce the activity outside the home and this in turn will diminish – if not eliminate – the activity inside the home. The net result could mean you will no longer be seeing them on your counters, etc. So in theory, no inside treatments may ever be needed if you just start spraying the outside areas. But if you still find some inside or want to treat inside regardless, there are two methods you can employ which will prove very effective on all flying pests. The first would be to manually apply some PT-565. This is a pyrethrin based aerosol that you spray like a can of hair spray. Basically you just spray 3-5 seconds of it in any room where you see this pest. Treatments can be done as often as you want; treating once in the morning and once in the evening before you retire would be a fine way to proceed. This should yield instant results and keep the problem under control. A more permanent solution would be to set up an AEROSOL MACHINE in any room where the problem exists. These machines can be configured to release a blast of aerosol every 15 minutes, every hour, every two hours, etc. depending on which machine you get. Basically these are settings which you control and program based on how bad the problem is, how often you want the machine to run, etc. Inside the machine will be a small aerosol can called PURGE III which is very much like the PT-565. It too uses a pyrethrin based active that can be used safely in the home where people are present. And it can go “off” all day long without presenting a danger to anyone. 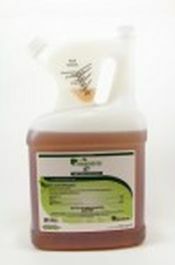 Purge will control all flying insect pests and once installed, you’ll see instant results.